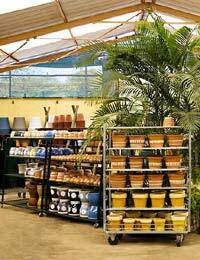 When you’re setting up a new gardening business, selling plants, gardening products or raw materials, then you’ll need to find wholesalers you can use to purchase supplies from. There are various ways in which you can track down potential wholesalers and, as with many areas of business, it’s worth exploring as many avenues as possible in order to find wholesalers most suitable for you to use. Wholesalers tend not to advertise their services so widely, and certainly not to consumers, so they can be a bit tricky to find in the first instance if you’ve not had any prior business experience. If you’re keen to find a wholesaler in your local area, then the Yellow Pages, or Yell.com, is a good starting point. If you’re lucky enough to locate relevant wholesalers in your local area, then it can considerably cut down costs, as you could collect goods and avoid having to pay any delivery charges. In the case of plants in particular, it may help to not have them travelling hundreds of miles to reach you, as their condition may be preserved more. Also, with equipment and bulky gardening items, you may be able to save on hefty delivery charges by arranging to collect them yourself. Depending on the nature of your gardening business and the products you’d like to stock, you may need to look further afield and check out wholesalers that are based either in your region or in other areas of the UK. Checking in trade directories is useful, as you may find companies listed in there – you should be able to find relevant directories in a library, or via enquiring from business organisations. It’s also a good idea to browse the ads in any gardening trade magazines or newspapers, as wholesalers often advertise within these. Again, if you’re not familiar with any gardening trade magazines, looking at the magazines on offer in a library is often helpful for locating niche publications such as this. The task of finding wholesalers has generally been made much easier thanks to the Internet, as many companies have an online presence. If you want to find wholesalers via this means, then try searching for ‘gardening wholesaler’ and you should come up with a number of leads. There are also several wholesaler directories, which you’ll locate through using any good search engine, and this may bring up some relevant gardening specialists. Another useful way of finding relevant gardening wholesalers is to attend one or more of the many trade events that take place across the UK each year. This is one of the primary ways in which wholesalers will advertise their services, so if you want to know who’s doing what and offering what sorts of products, then you need to get yourself to a trade show and browse what’s on offer. Once you’ve found one or more wholesalers you’re interested in – and it is a good idea to try and use more than one, in case one goes out of business – it’s time to suss them out. Whilst most gardening wholesalers will belong to a trade association and be perfectly legitimate, there are unfortunately some unscrupulous businesses that set themselves up as wholesalers and are less than trustworthy. As a small business yourself, you need to ensure that the wholesaler you’re buying from is a legitimate seller of the products and is approved by the manufacturers, as you don’t want to unexpectedly discover you’re selling unapproved or illegal products. Don’t be afraid to do a bit of research into the background of the wholesalers and find out how long they’ve been trading for, which (if any) trade organisations they belong to, what kind of shops and businesses they typically supply stock to and which manufacturers products they have. What are their return policies? What do they charge for shipping and delivery? Is there the option of collecting goods yourself? How soon do they deliver orders? Most wholesalers will have a minimum order in place and, as they sell products in bulk quantities, rather than individually, you will need to have cash at the ready to pay for your order. Although initial orders may have to be paid up-front, as time goes by and you become a regular buyer, more credit options may become available.